The screenshot above is hosted and provided by pas-products.com. Please contact them directly for any copyright infringement as we are not responsible for that content. 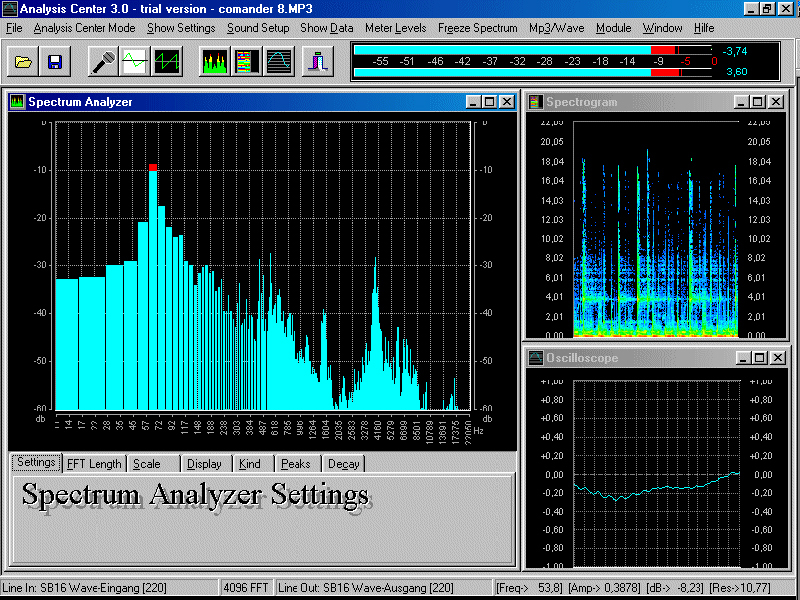 By making use of standard computer operations your analyzer software will store your personal settings or analyze audio data you may have previously recorded. What we had in mind while developing the PAS Analyzer was maximum flexibility, so we decided to equip it with its own test tone oscillator. While the analyzer is connected to your soundcards input the oscillator signal is feeding the outputs. Of course there is more than a 1 khz sine wave in the oscillator, its actually giving you various waveforms and noise. In Compare Mode the output of your soundcard is constantly being checked against whats coming in at the cards input sockets allowing you to evaluate the quality of any given signal chain.